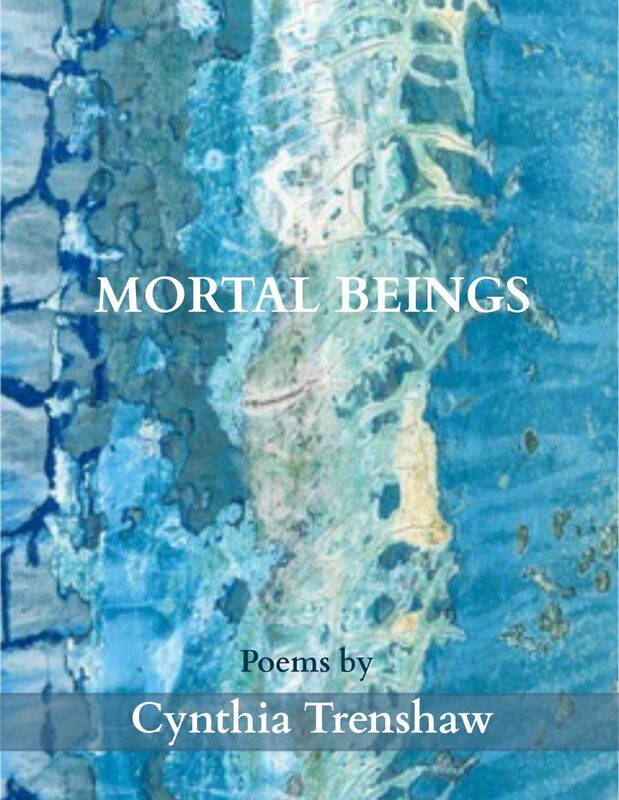 Mortal Beings, a new collection of my poetry, is being published this May by Finishing Line Press of Georgetown, KY. It used to be that when an author’s manuscript was accepted, the publisher took over everything from that point on – all editing, interior design, title, cover design, press-run decisions, promotion, marketing, and probably a few things more that I’m forgetting now. Those were, perhaps, the good old days. That system was far easier for the author who had less responsibility for the finished product. It was also more frustrating for the author, who had little further to say about the processes that created the book. Now, especially with the smaller presses that currently publish poetry, the author is much more engaged in creating the book. For Mortal BeingsI got to choose the book title, the cover illustration (a wonderful abstract photo by my friend Corrine Bayley), the organization of the poems. I’m also asked to participate in the promotion for the book, and here’s the benefit of your favor to me: The more books you and your friends buy during the two months of pre-sale, the more benefits the author (that’s ME) gets from the publisher – more author’s copies, more review copies, more promotional efforts by the publisher, more submissions for awards and recognitions. If we can tally up 155 pre-publication sales of the book before March 15, I will be well-compensated and very pleased. And my poems will move further afield, making their way into the hands of those who appreciate moving, well-told stories. Please link with www.finishinglinepress.com and click on either “Preorder Forthcoming Titles” or “Bookstore,” then input either Cynthia Trenshaw or Mortal Beings in the search box. Mortal Beings costs $14.99. If you have friends or family who would be interested, please forward this blog post to them as well. THANK YOU for considering a preorder of Mortal Beings. And thank you for tolerating this month’s totally self-serving blog post. This is an important time for me in my writing career, and I’m grateful to you for your enthusiastic support. Please let me know if there is a way I can reciprocate in the days ahead.